Always look at the date when you read a hardware article. Some of the content in this article is most likely out of date, as it was written on October 5, 2017. For newer information, see our more recent articles. Intel has just released an update to their mainstream Core processor series, marking the 8th generation of CPUs in this lineage. These are also the first mainstream processors to have more than four cores, even while maintaining high per-core clock speeds. As with any new launch in this segment, we want to see how well these new chips perform on a variety of applications. This article will focus on Autodesk Revit 2018, and compare the new models to the previous-generation Intel offering as well as a couple of AMD CPUs. These test configurations include three of the new Coffee Lake CPU models, the top of each tier (Core i3, i5, and i7) - as well as the previous top mainstream processor from Intel, the Core i7 7700K, which has been our go-to recommendation for Revit for several months. A couple of AMD's Ryzen chips in the same general price range are also included for reference. The variant of benchmark we used performs three runs of each test and then averages the results. Those results are presented below. Despite the high clock speed of the new Coffee Lake processors, all three of them trail the older i7 7700K - but only by a few percent. The top-end 8700K is 3-5% behind in the Update, Model Creation, and Export tasks, which clearly are not utilizing more than four threads (and probably even fewer). It pulls even to its predecessor in the Graphics tests, and then jumps ahead by a wide margin in rendering. AMD's Ryzen processors also do well with rendering, but they fall a lot further back in every other part of the benchmark. Just going off specs, it seems like the Ryzen chips are scoring lower than I would expect them to... so there may be some underlying optimization within Revit that benefits the 7700K and not AMD's models. It is possible that the new Coffee Lake chips are similarly affected, but the only way we will know for sure is if performance changes substantially in future versions of Revit. Despite a very small drop in general Revit performance, it looks like Coffee Lake processors - in particular, the Core i7 8700K - are going to be worthwhile. The 4% average loss in general performance will be almost impossible to notice, but the near 30% improvement in rendering speed is substantial. It would be nice if there was a CPU in this new generation that more closely matched the older 7700K, but there is no 4-core / 8-thread model this time around, and older CPUs are not compatible with the latest Z370 motherboards. Hopefully, software developers like Autodesk will continue to improve multi-threading in their applications as well, which could allow the new 6-core chips to be even faster in the future. The 14nm++ intel i7 9700k and Samsung 7nm AMD Ryzen2 will be released in the first quarter of next year with 8 Cores and 16 threads on intel and -10-16 cores 20-32 threads on AMD's mainstream chips ...:) should be interesting to see how those compare to the i7 7700k .. current CPU king of Revit workloads ... looks like the i7 8700k is a FAIL in Revit workloads as every % improvement is important who wants to upgrade and LOSE performance.. Only Architects need to render files enough to give the 8700k a second thought on the upgrade. 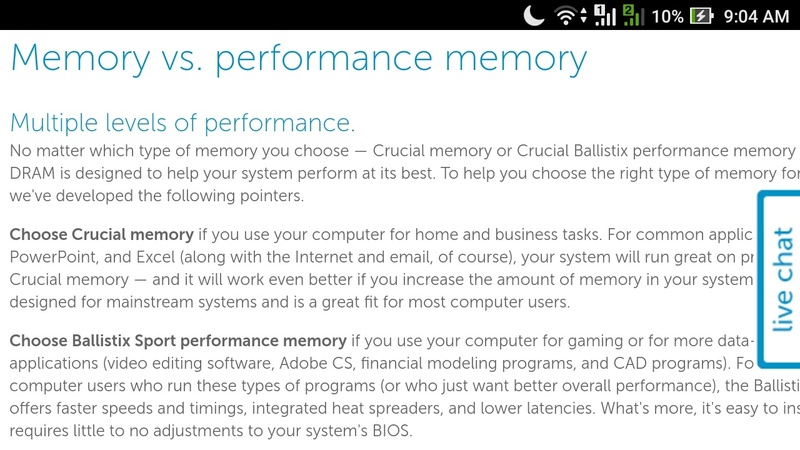 Question, why crucial memory?and Why not ballistix sport memory ? Our primary concern with memory is reliability. Memory speeds have a very small impact - if any - on performance in most applications, so instead of trying to get super fast or low latency stuff we go for modules that are readily available and highly reliably. Crucial's normal memory (without any fancy name brand) is their standard stuff, while Ballistix Sport is their 'premium' branding. It is where they have their higher clocked memory with things like heat spreaders (to theoretically dissipate heat generated by running the memory faster). In our experience here at Puget Systems, those premium memory offerings - regardless of manufacturer - tend to have only a very small impact on system performance... but also tend to have higher failure rates. I would personally just stick with the normal stuff unless you are overclocking your CPU (which I would also, personally, advise against). with the cooling technologies getting better, I would love to see this chart updated with both i7-7700k and i7-8700k overclocked and GPU exchanged to GTX 1080ti..